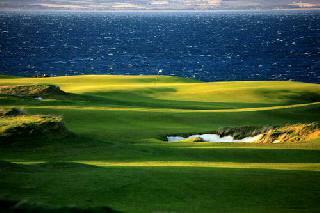 The Old Course is the oldest and best known golf course in the world yet it is a public course, open to everyone - at a price. It is expensive but worth every penny. The exhilerating feeling of walking down the first fairway is indescribable and guaranteed to raise the hairs on the back of your neck. 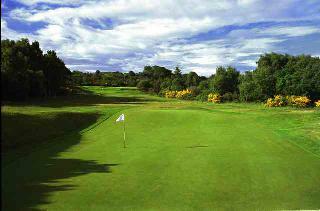 Although fairly flat it has many strategically placed bunkers, the most famous being Hell's Bunker, which increases the challenge. 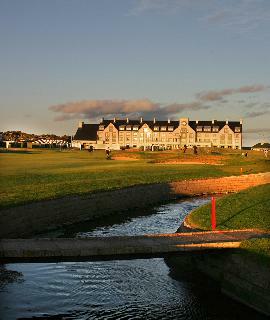 The famous 17th Road Hole is one of the most difficult holes in golf but no matter your score, you can stop for a photo on the Swilcan Bridge after teeing off on the 18th. 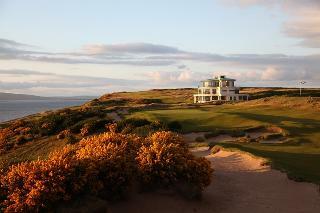 You will also want a souvenir of your visit and there are plenty of shops available to satisfy the keen golfer. 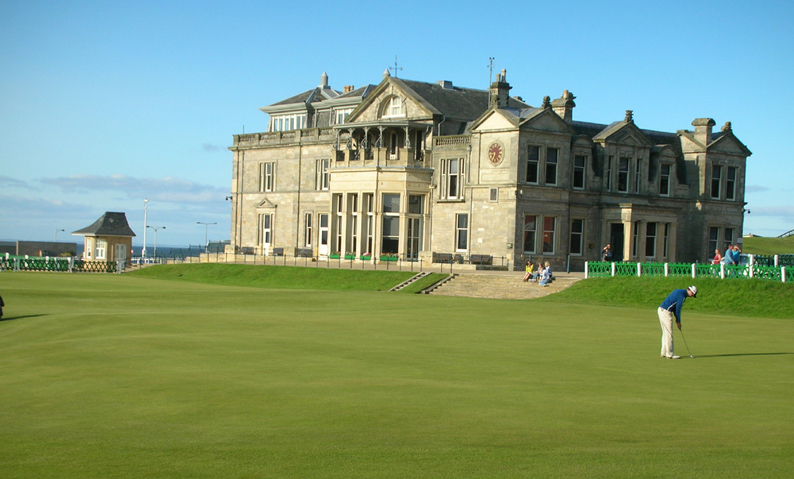 The facilities available when playing the Old Course, The New Course and The Jubilee Course are at The Links Clubhouse which includes lockers, showers and drying facilities. 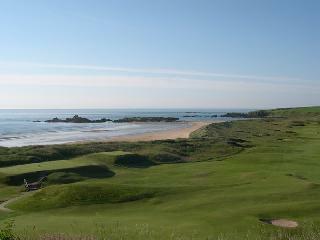 The Swilcan Restaurant upstairs provides good food and drinks in a delightful setting overlooking the Old and New Courses. 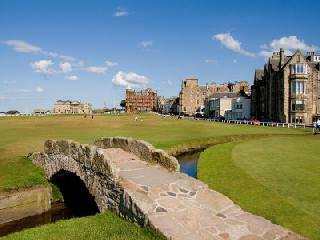 It does require a good walk or a shuttle back to the 1st tee when playing The Old Course. 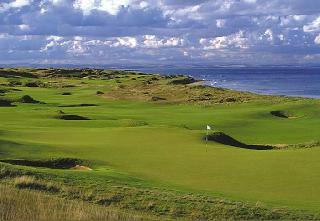 The Old Course can only be guaranteed if you are prepared to buy a very expensive golf package inclusive of a 2 night stay in an upmarket hotel in St. Andrews. However, one can enter the ballot 48 hours before play (min 2 ball and max 4 ball) and if your name is drawn you get to play the next day. 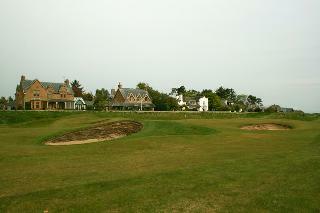 If you are staying in St. Andrews for a few days the chances of getting onto the Old Course are very good.